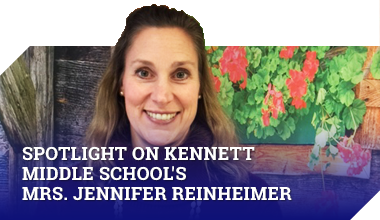 The Chester County Intermediate Unit operates career and technical education programs for Kennett High School students at the Chester County Technical College High School (TCHS) in two locations: Brandywine Campus and Pennock’s Bridge Campus. Availability of transportation to the Brandywine Campus is subject to sufficient enrollment. TCHS offers students an opportunity to prepare for their futures, whether that means going on to higher education, securing a job after high school, or some combination of the two. For more information about Chester County TCHS programs or to apply online visit www.technicalcollegehighschool.org. Tis is a PA Department of Education approved Career Program of Study. Upon completion, certifications can be credited for post-secondary education. The program prepares cadets for careers in law enforcement, corrections, pre-hospital emergency medical care, and firefighting. In 2019-2020 the program curriculum will focus on firefighting practices. In 2020-2021 the program curriculum will focus on emergency medical services practices. In 2021-2022 the program curriculum will focus on law enforcement practices. Students may participate in the program for 1, 2, or 3 years depending on their interests. For more information and to apply online, visit https://www.octorara.k12.pa.us/domain/628. Students have the opportunity to shadow any of the above programs should they wish to get first-hand experience before deciding to apply and/or attend. Please see your school counselor for more information.